The other day I had the pleasure or the displeasure of comparing the skin of two people almost the same age: we will call them Tom and Jerry. Tom is older than Jerry by one year but when you look at the skin on his face, you would easily think that he is 15 years older. I tried to understand what would make their skin so different and in the end it all came down to their way of life. One thing that could explain the wrinkles on Tom’s face is that he is a soccer coach, which means he spends a higher percentage of time outdoors, while Jerry on the other hand is an office hamster. The difference between these two people was very glaring to the point that I had to do some research on the causes and easy home remedies for wrinkles. Wrinkles are the thin lines you see on your face, back of your hand, chest area, neck, and forearms. Basically they are caused by laxity of the skin, which comes about by the undeniable natural aging process. Although aging is one of the processes that leads to the weakness and breakdown of collagen leading to wrinkles, there are other causes of these nasty little lines that can easily be avoided leading to a more tight and firm skin. Some of the causes of aging, like for Jerry above, are the harsh weather conditions like the Dubai sun. Not protecting yourself from UV rays can easily lead to premature wrinkling in addition to other vices like cancer and sunburn. UV rays are considered to be the leading cause of premature wrinkling. Other causes of wrinkles include smoking, dehydration, use of certain drugs, genes, excess stress and sudden loss of weight. Below is a compilation of several easy ways to reduce the visibility of wrinkles, or to avoid them altogether. Bananas: Due to its richness in antioxidants, vitamins and minerals, bananas can do more than just being a healthy fruit to be eaten. By applying ripe banana paste on your face, you will be protecting yourself from harmful UV rays that cause wrinkling. This is due to the vitamin E found in the yellow fruit. Aloe Vera: The malic acid found in the aloe Vera plant works very well in reducing the appearance of wrinkles by increasing the elasticity of your skin. If you can get access to a fresh aloe leaf, extract its gel then apply it on your wrinkled sites then wash off after 30 minutes, you will be on your way to a less wrinkly skin. Stress management: In order to avoid premature aging and wrinkling, it is important you find positive ways to manage your stress. You can pick up a particular sport or join a yoga class or seek counselling. Either way, do not let stress manifest in your body. Pineapple: Pineapple juice contains bromelain, which is an active enzyme that acts as an inflammatory agent. It also has alpha hydroxyl acid, which is also is in its natural form. Both of these agents help treat wrinkles by exfoliating the skin as long as you apply the juice on your skin instead of drinking it. Ginger: Due to its high antioxidant content, ginger is well-placed to fight wrinkles. 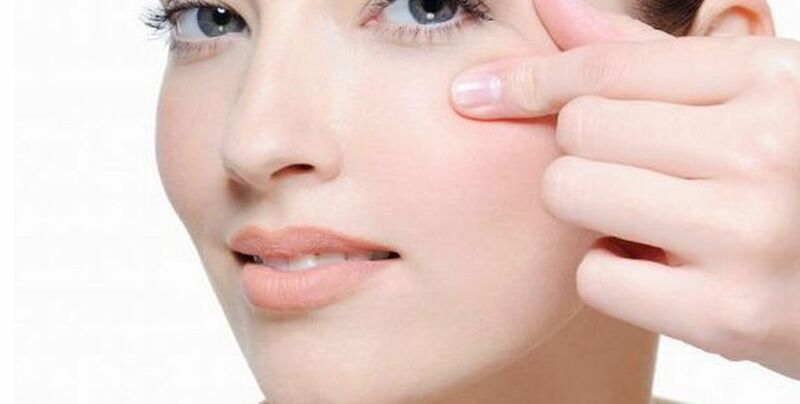 It performs this task by preventing the breakdown of collagen and elastin, which, from what we have seen above, is the process of how wrinkles are formed. You can make it work for you by making fresh ginger tea. Egg whites: This list would not be complete without any form of eggs because we all know it is a super food. But in this case of fighting wrinkles, it becomes a super musk because it eliminates free radicles from your skin which cause wrinkles. In addition to containing protein which acts as a tissue repairer, it has magnesium which slows down the aging process as well as potassium which preserves skin cell moisture. Lifestyle change: Not only will a change of lifestyle save you from cardiovascular diseases, it will also protect your skin from wrinkles and pre-mature aging. Lifestyle change includes giving up or staying away from smoking and smokers, alcohol consumption, sedentary lifestyle, fast fatty foods and excess caffeine. Hydration: By drinking sufficient water, not only will you be flushing toxins out of your body, you will also be keeping your skin moisturised. This will also add elasticity and radiance to your skin as well as supporting good health. On the other hand, you can easily banish wrinkles by calling us for a free consult at Dubai Cosmetic Surgery clinic where we will give you all the information on wrinkle and skin tightening treatments in Dubai.